All your online publications are shown on the stylish dashboard of your account. You can create your own folders to organize your publications. Just drag your publication to a folder and you're done! You can choose between various view and listing options. A handy search function enables you to find a publication quickly as well. You can preview, edit, publish or remove each publication. For every online publication you can copy the embed code and URL which you can use to embed your online publication on your website and link to it in marketing campaigns. 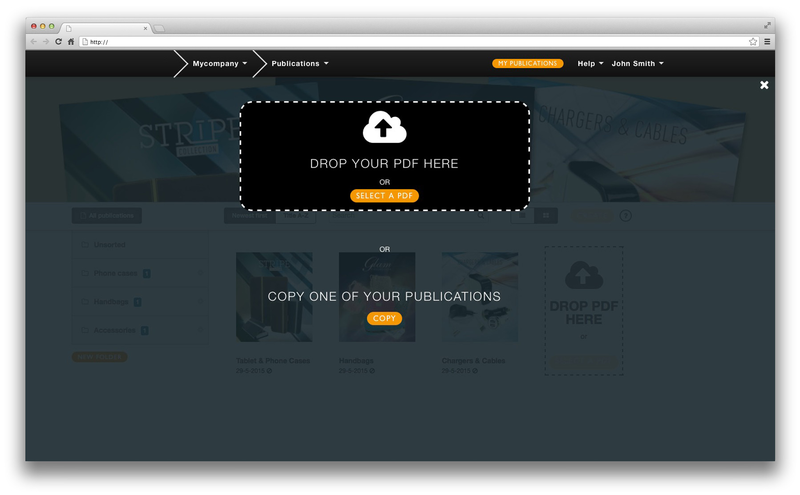 You can also embed a clickable mini flipbook on your website. 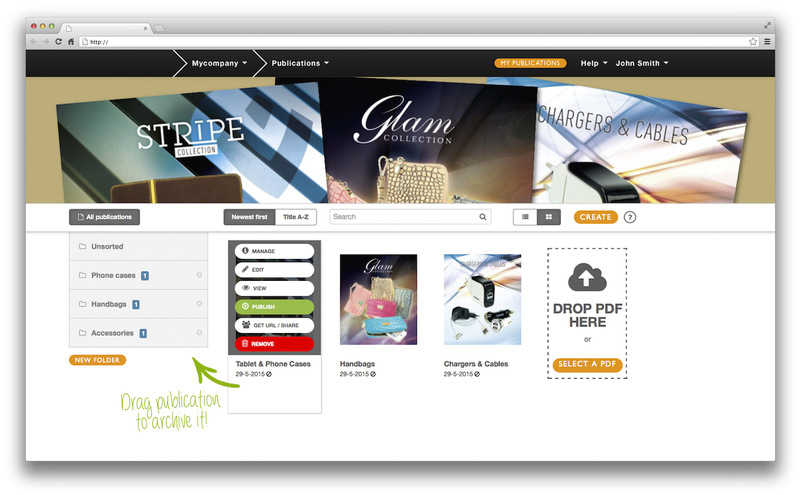 Self-publishing your online magazines, e-catalogs and flipbooks with Online Touch is a breeze. Simply log in to your account on any computer with internet access and upload your PDF. Within a few minutes your online publication will be created automatically. With all URLs and email addresses detected in your PDF automatically made clickable in your online publication. You can customize the look and feel to match your brand by setting your house style colors. If you are happy with the preview of your online publication, you can publish it and immediately start using it on your website. All text can be indexed by search engines as soon as you click the Publish button. 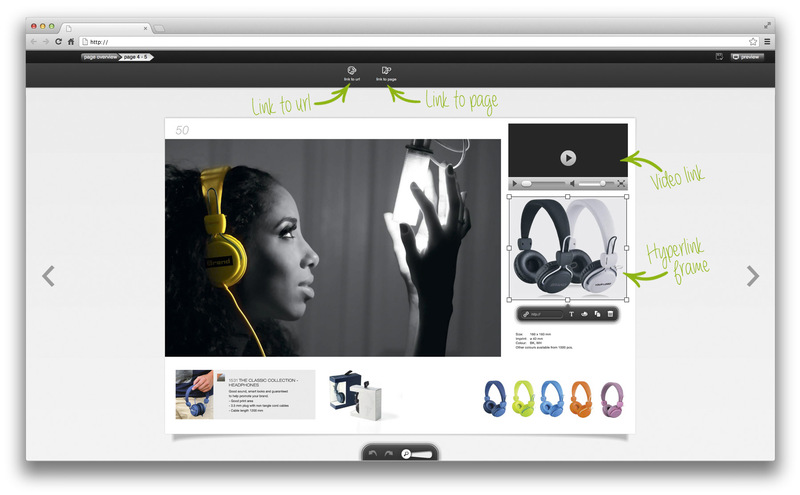 To create an engaging experience, you can easily add interactions with the Drag & Drop Editor. Just click on a stylish page overview on the desired page and it will open full screen in the Drag & Drop Editor. Now you can add interactions anywhere you want with the click of a mouse. You can choose from hyperlinks to web pages, like links to your web shop, and links to other pages within the publication. For your convenience you can copy interactions to other pages, zoom in on a page to add interactions more precisely, undo and redo actions and browse to other pages. No technical skills required, done within minutes! Online Touch: Hoe presenteer ik een marketingpublicatie doorbladerbaar binnen enkele minuten?